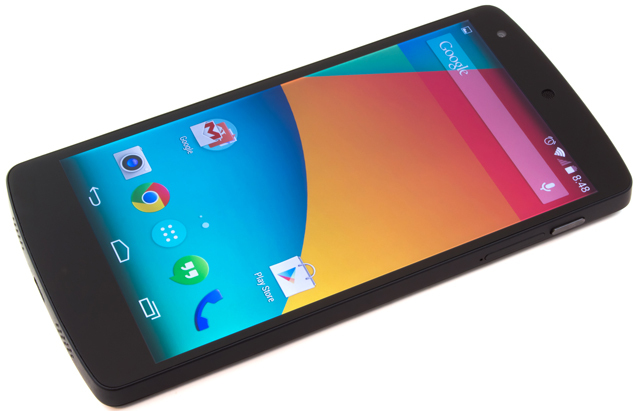 The Nexus 5 has a fast SoC, but not all Snapdragon 800s are created equal. When we reviewed Google and LG's new Nexus 5 earlier this month, we noticed that while it outscored other phones with the same chip in our standard benchmark tests, its behavior wasn't always consistent. Typically, phones have no problem making it through the 30-or-so minutes of CPU, GPU, and storage testing that we perform. We'll run most of our benchmarks multiple times to check for outliers, and nine times out of ten the scores will come back within spitting distance of each other. The Nexus 5 presented outliers—scores in the Geekbench CPU benchmark, for example, could come in around a third lower than the typical score depending on how many times we ran it or what we had been using the phone for beforehand. When we reviewed the Nexus 4 last year, we noticed that it had similar problems, throttling its CPU speed aggressively to prevent overheating. We decided to take a closer look at the Nexus 5's CPU throttling and to explore the concept of mobile SoC throttling in a bit more detail—there are times it will matter and times that it won't, but it's a common enough phenomenon that it's worth investigation.